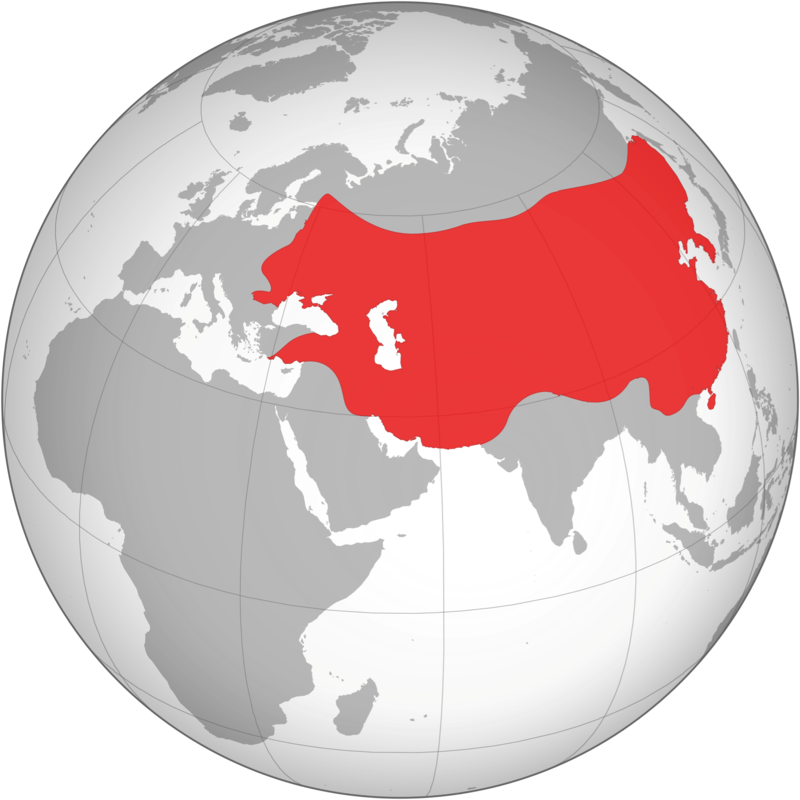 Around 1162 AD a man named Temujin was born into a nomadic tribe living in the rugged northern highlands of Mongolia. A rival group murdered his father, the tribe scattered, and Temujin was brought up in poverty by his mother, Hoelun. In 1206, he united the Mongol tribes, receiving the title “Genghis Khan” meaning “universal ruler.” For the next two decades, he led the Mongols to conquer much of Eurasia. When he died in 1227, the Mongol empire covered 24 million square kilometers. As nomads, the Mongols had little use for money. They measured wealth in horses, sheep and cattle. They valued well-made weapons, bridles and saddles. But when they came to rule the sophisticated urban economies of central Asia, Iran, and China they had to adopt forms of currency that were familiar and acceptable to these populations. Coins of the Mongol empire therefore fall into two categories. Coins for use in Muslim areas follow the well-established pattern of Islamic coinage: gold, silver and copper denominations with Arabic inscriptions and geometric decoration. And coins issued for East Asian parts of the empire look Chinese – mainly cast bronze with a square hole in the center.